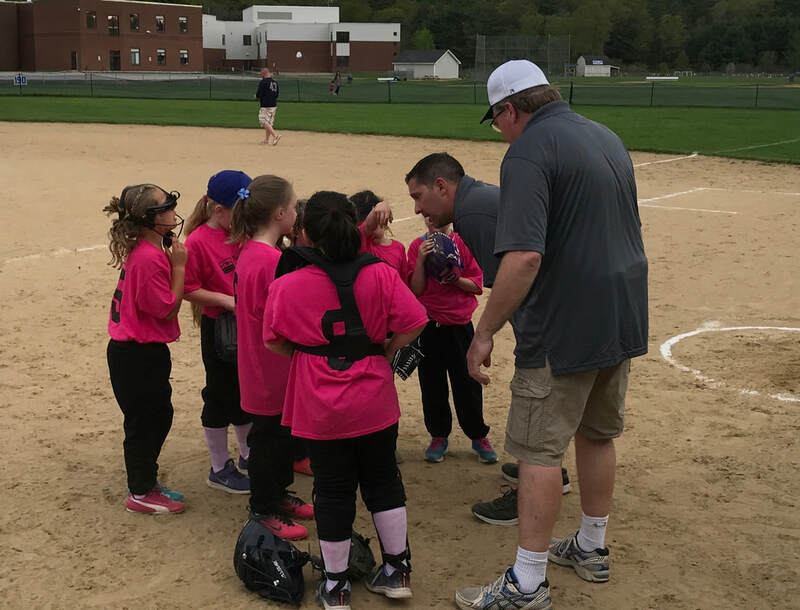 ​Gilford Lightning Softball is part of the Gilford Youth Softball Organization, and will offer a 10-game season this summer to 8u girls (9 year-olds who turn 9 after January 1, 2019 are eligible to play on the this team). The team will play in the Suncook Valley League, featuring teams from Gilmanton, Barnstead, Pittsfield, and other local towns. The team will have weekly practices at the GHS field, as well as free indoor workouts (see right) beginning in March, and multiple scrimmages with local teams leading up to the season. We are looking for kids who are eager to learn the game of softball in a fun, safe, and positive environment. Beginners are welcome!! The team will be coached by Scott Hodsdon. Scott has coached both baseball and softball for over 20 years, from t-ball to the college level. Gilford Lightning will be holding FREE indoor Clinics for girls in grades 1-3, beginning in March, at the Gilford Youth Center. This is an opportunity for kids to start learning/improving the basic skills before the season begins. It is also an opportunity to meet the coach, other parents and learn about the upcoming season.